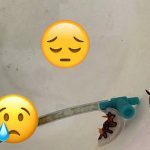 Hermit crabs are famed for the snail shells that they so dearly love, but the group is in fact highly diverse and known to occupy a wide variety of structures (the general term for these tenements being “carcinoecia”). Some live sedentary lives burrowed within stony corals. Some prefer a more mobile existence within “walking corals”. There are some interesting deepwater species which ambulate around with zoantharians on their backs. 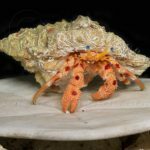 Scaphopod hermit crabs exist, as do sponge hermit crabs and polychaete tube hermit crabs and even naked hermit crabs, who forego the use of a protective covering altogether. 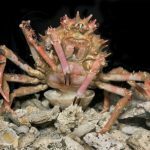 The list goes on and on, but one of the oddest out there is an obscure little group known as the blanket-hermit crabs, and the group just got a lot larger.While unfamiliar to most, the genus Paguropsis has been known to science since the late 19th century, when the first two specimens were trawled up from the Philippines during the famed Challenger expedition. Morphologically, these were bizarre for a hermit crab. 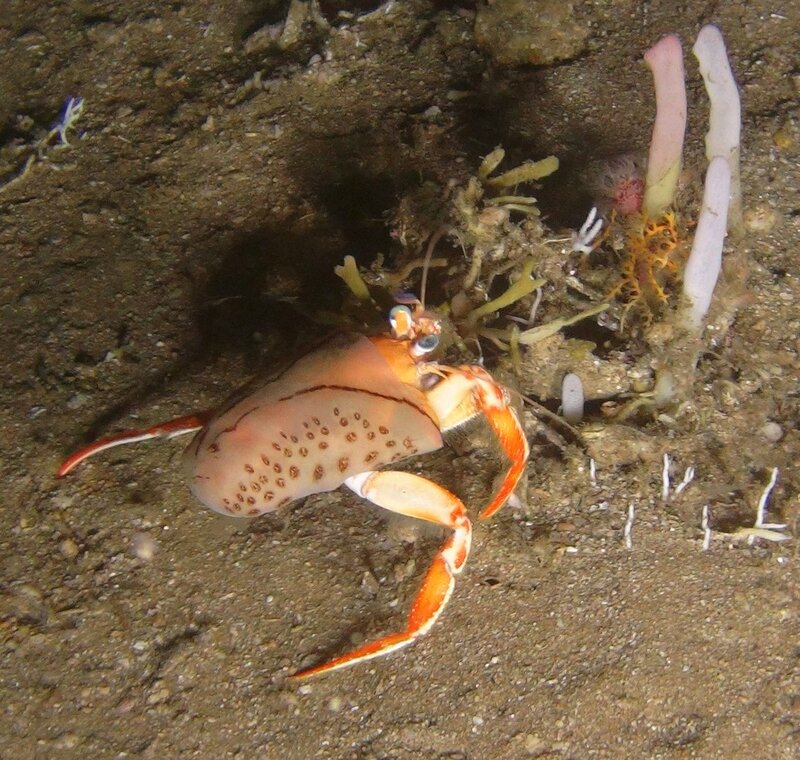 The last two pairs of walking legs (the pereopods) seemed to lack the modifications necessary for holding onto a carcinoecium, while the abdomen (the “pleon”) was bent underneath itself in the manner typical of a true crab rather than the spiral coil common to most paguroids. But why all this strangeness?A decade later this would get answered by a different researcher, Alfred William Alcock, who came into the possession of hundreds of specimens collected off southern India. Some of these still retained the most telling trait of this genus, the use of a colonial anemone in place of a shell. Unlike the familiar Anemone Hermit Crabs of the Indo-Pacific, which make use of a shell covered in Calliactis anemones, the blanket-hermits simply wrap themselves in their preferred cnidarian, stretching the creature’s tissue over their backs like a cozy, slimy blanket with the use of their modified pereopods.In the century since, this group has received little attention and very few images have been available, but a new study in Zookeys has dramatically expanded our knowledge. Five new taxa have now been described, two of which warranted an entirely new genus to be established, Paguropsina. The older species, Pagurposis typica and P. andersoni, are now reported from throughout the West Pacific and Indo-West Pacific, respectively. The new Paguropsis confusa shares a similar distribution and is best told apart by its coloration (a feature soon lost in preserved specimens… hence the “confusa”). Pagurposis gigas is the largest (~20mm) and rarest of the bunch, known from just two specimens collected in the South China Sea below 300 meters, while Pagurposis lacinia is a much smaller and yellow-colored species known from across Melanesia. The new genus Paguropsina is recognized by several subtle morphological features—the shape of the gills, a broader maxilliped, and smoother, more pincer-like claws on the 4th pereopod, used for gently pulling at its anemone friend. More obviously, these crabs are much smaller than those in Paguropsis. Both Paguropsina pistillata and P. inermis occur throughout the West Pacific in mesophotic and rariphotic depths, up to around 1,100 meters.Though neither of these genera seem to have made their way into the aquarium trade, they could potentially be targeted for collection. 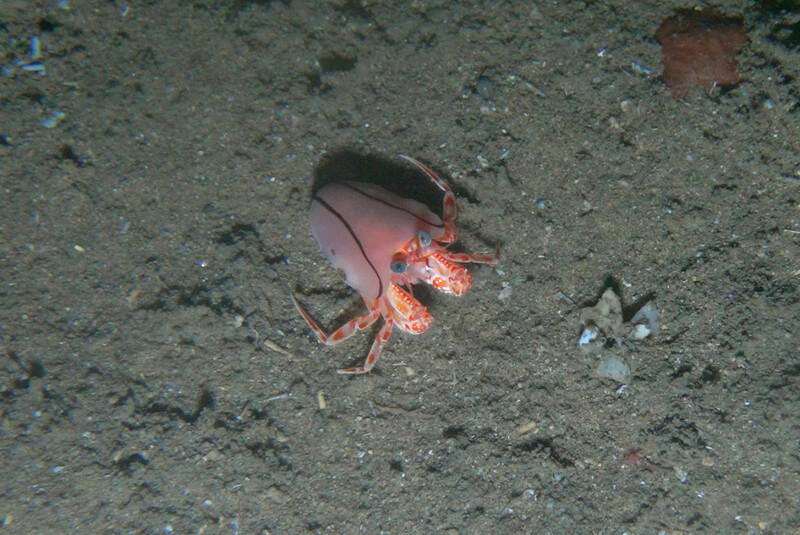 Paguropsis is known from as shallow as 30 meters, while Paguropsina is recorded at 50 meters. 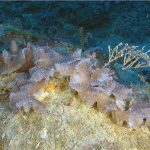 These are not reef species, however, with the typical habitat being silted flats from which they can at times be trawled in large number.There is still one considerable mystery hanging over these creatures… we don’t yet know the identity of their anemone symbionts. Earlier authors had mistaken them as zoantharians, though they are now confirmed to be true acontiate anemones (the black spots are where the defensive acontiae are extruded from). But are they a species which has been described or are they truly unknown to science… is there more than one species, perhaps each specializing on a distinct crab host… are they reliant on these blanket-hermits, or might they also live freely. Perhaps these are just the juveniles of a well-known anemone, similar to how the Lybia Pompom Crabs make use of small Triactis anemones? 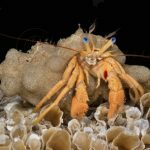 Whatever the case, this is certainly one of the more remarkable marine symbioses.